Internet entrepreneur and investor who co-founded reddit. 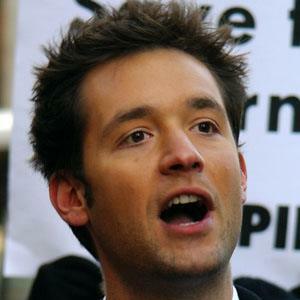 He graduated from the University of Virginia in 2005. He was named to the Forbes 30 Under 30 list in both 2010 and 2012. His father was of Armenian descent. In 2016, he got engaged to tennis star Serena Williams. He and Serena welcomed a daughter on September 1, 2017. They got married two months later. He was a vocal opponent of the 2011 Stop Online Piracy Act, which was introduced by Representative Lamar Smith.